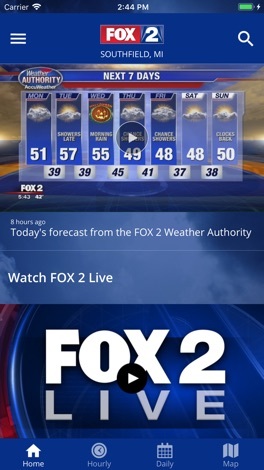 Developer : Fox Television Stations, Inc.
FOX 2 DETROIT is your Weather Authority! 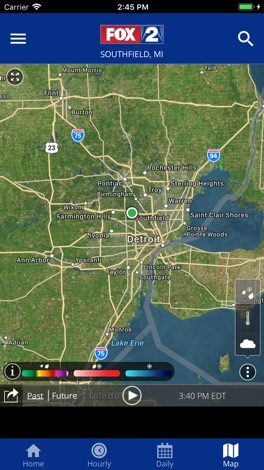 Track your local metro Detroit forecast quickly with the FOX 2 Weather app. 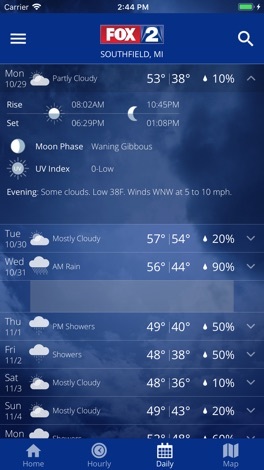 The improved design gives you radar, severe weather alerts, plus hourly and 7-day weather information just by scrolling. It's powerful, flexible and free. Put the FOX 2 Weather Authority to Work for You! 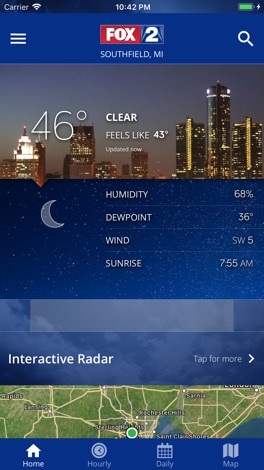 Why Download the FOX 2 Weather app? give you accurate conditions wherever you are. 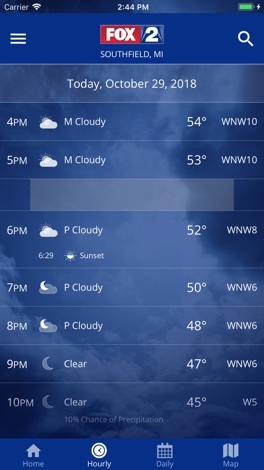 • Receive severe storm alerts from the National Weather Service. • Get school closing information quickly. • Daily and Hourly forecasts update from our computer models. • Add and save your favorite locations, anywhere in the world. Authority, so you can stay informed even during power outages. 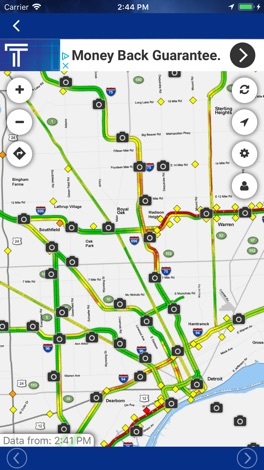 • Live traffic map for the metro Detroit area. More by Fox Television Stations, Inc.